Five Minutes of Amazing - by Chris Graham. Instead he was discharged on medical grounds. What they always knew would happen. Had happened. Chris had early onset dementia. Something that ran in his family. He was 34, his father had died at 42 and his brother now 42 was in a nursing home. This sets the picture. His wife Vicky knew of his condition from the first. They were soul mates. When family asked her about the future then she said. 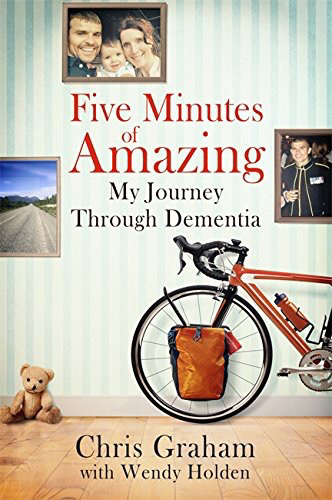 "I'd rather have five minutes of amazing."